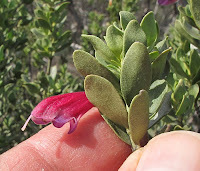 Belonging to the Lamiaceae family, species in the genus Prostanthera are collectively known as Mint Bushes, resulting in most people associating them with environmentally sensitive plants that require sheltered moist locations. 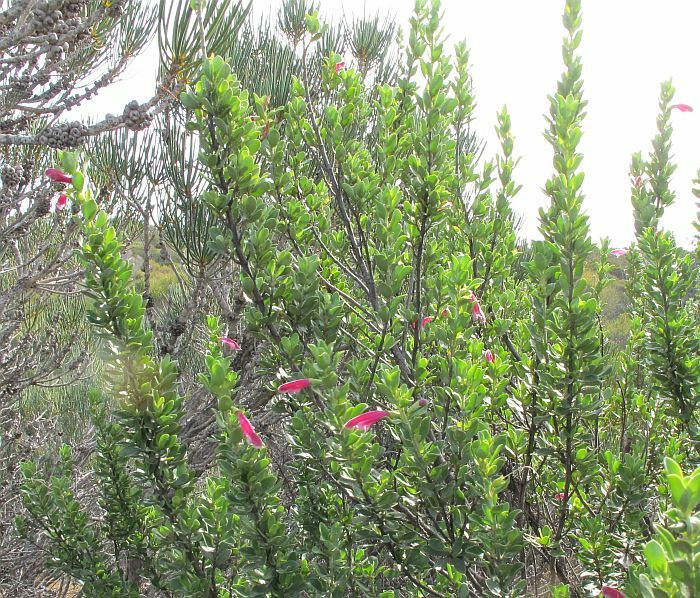 However, Prostanthera carrickiana grows on exposed rocky outcrops in small pockets of soil often with other notably tough plants (see bottom right-hand column for posts) like Calothamnus tuberosus and the fleshy leaved Hakea clavata. 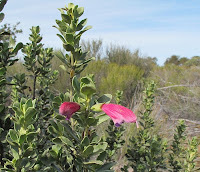 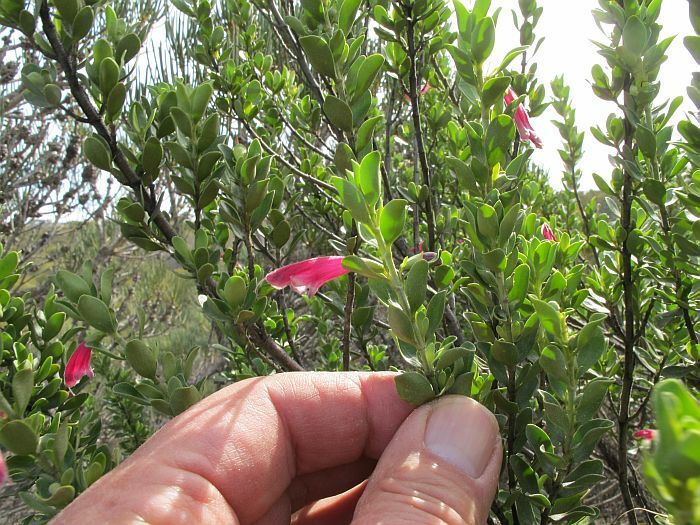 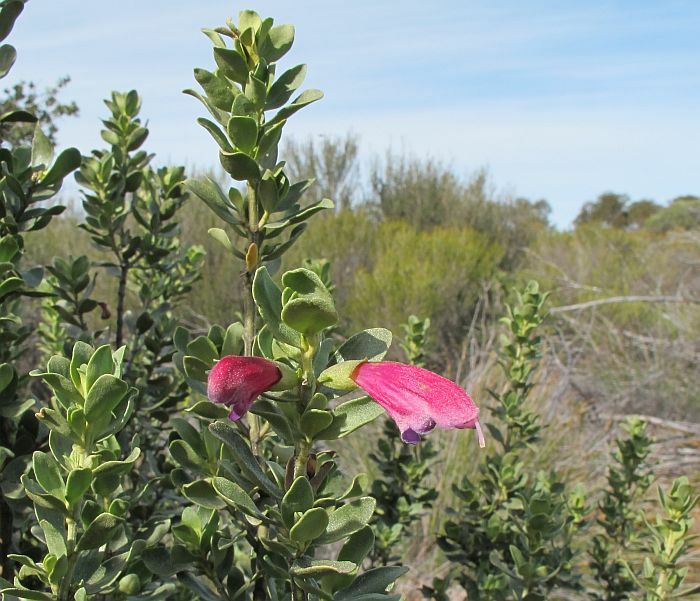 Carrick's Mintbush is known only from three large rocky outcrops in the dry mallee region to the NE of Esperance, these being Clyde Hill, Mt Buraminya and Mt. 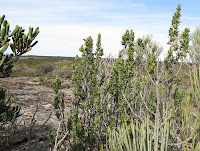 Newmont, with the latter two holding by far the greater populations. 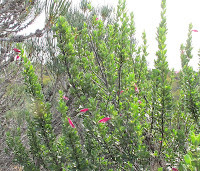 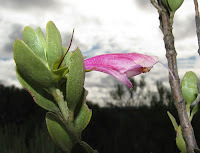 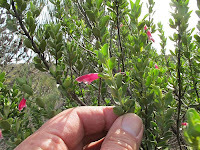 The flowers that grow to 2.5 cm (1”) in length, are red or a dark pink and are bird attracting. As these plants occur in such dry and exposed environments, flowering is strongly governed by rainfall and although officially recorded during April and May (photos above taken in July), blossom can be found at other times following good rain, making the autumn/winter period the most reliable.